The Espoir is an extremely reliable road tyre, ideal for ambitious training and high-mileage rides. This finely-crafted tyre is designed for ultimate reliability and durability. When you don’t have to worry about flats you can concentrate on sprints, hills, or good conversation on those longer rides. I have used these on my specialized Secteur for four years now, worn out two sets and now into third. Probe. about 4000+ weekend miles, and never had puncture yet. They really are the best for this price point, so I've ordered another set. They are light, wear well, and grip well in wet and dry. I'll keep using them anyway. Great tyre for the price have ran these for miles and miles with no punctures. 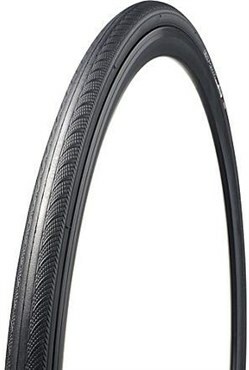 Maybe not the fastest but a great all round tyre for the money. Bought these to replace a set of espoir tyres id run for 2000miles of all-weather riding with no punctures. Fit and forget tyre which serves well for all types of riding.